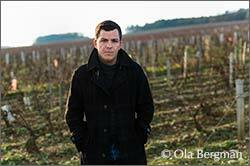 drien Gautherin at Domaine Raoul Gautherin in Chablis is the eighth generation in his family to make wine. 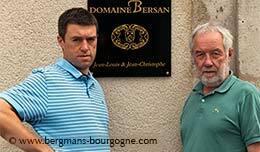 For the past decade he has been working together with his father, taking care of their 16.5 hectare estate. – To me Chablis is a wine made in tank, with the lees. It’s a wine with minerality, some citrus notes and freshness. A good Chablis is a wine you can drink all though dinner without your palate becoming tired and telling you it’s enough. Domaine Raoul Gautherin recently moved to new premises. The old winery close to the village centre had become too small. Instead a new one was built next to Domaine Jean Collet and Domaine des Malandes, some 500 metres westward along the road to Auxerre. 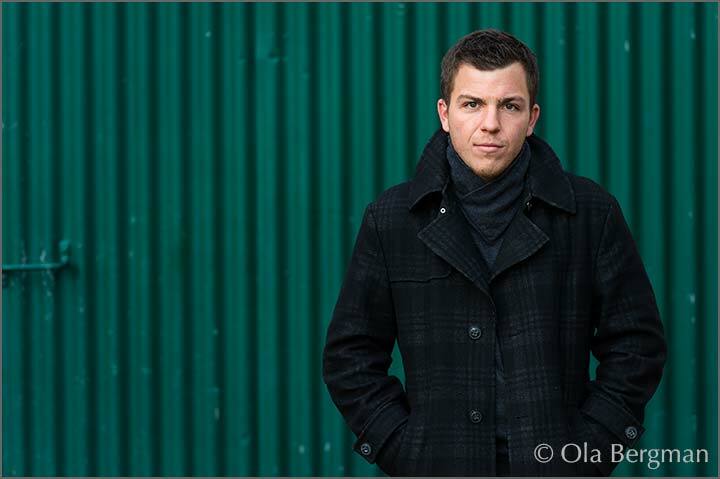 – I came here in 2008, right after my studies at the wine school in Beaune. Obviously I had been working weekends and school holidays at the domaine before that. In 2010 I left for three months to work at Clos Pepe estate in California. It has been a very good transition period. 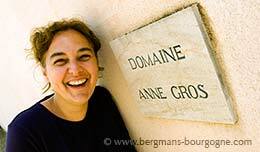 The philosophy of the domaine lives on, at the same time as I have been able to add a few things. Something new to go with the tradition. That’s the only way to progress. 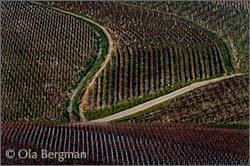 Most of the domaine’s vineyards are close to Chablis. There is the whole range of Chablis at the domaine, from Petit Chablis, via village Chablis and premier crus, up to grand crus. 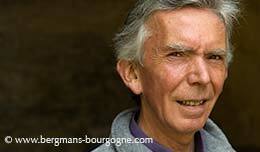 Adrien Gautherin’s input has mainly been in the vineyards. – Already the first day my oenology teacher told us, if you don’t have good grapes you can’t make good wine. So he had us sent off to the viticulture teacher instead. This stayed with me and it has become my philosophy. 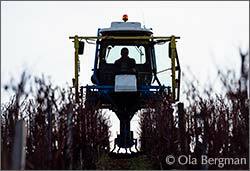 It is all about hard work in the vineyards, keeping the grapes healthy. It’s precision work, since each vineyard requires it’s specific care. My goal is to control everything. Of course I can’t, but that’s my aim. – When it comes to winemaking the family philosophy is to keep it simple. We don’t make wines which could be considered technological. We are not making the same wine every year. Each year we reevaluate and modify the vinification process, we adapt it to the vintage. All things have to be taken into account. Weather conditions, diseases, maturity of the grapes, the balance between acidity and sugar, etc. 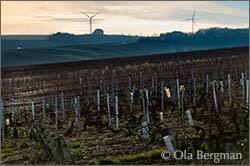 There is just 1.20 hectare of Petit Chablis at Domaine Raoul Gautherin. 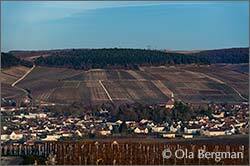 One step up, at village appellation Chablis, there is considerably more – 9.45 hectares, more than half the domaine. 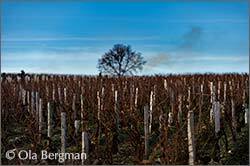 From these vineyards Adrien Gautherin produces two cuvées, one standard Chablis and one old vines Chablis from vines older than 35 years. – All parcels are vinified separately, he explains. Most of them are around Chablis, but we also have some vines in Chemilly-sur-Serein. When we do the first racking we blend everything and put it back in small tanks. – The parcels are different in character and that’s why I prefer to vinify them separately. For instance I don’t press the different parcels in the same way and I taste before and during racking so I can decide how much oxygen to add and how much lees to keep. The differences are small, but they are there. For the standard cuvée Adrien Gautherin blends grapes from both young vines – around 20 years old – and old vines – between 30 and 45 years old. – When you vinify old and young vines separately you can really taste the difference. Blending is sinteresting because you get the body and the roundness of the old vines and the freshness and the energy of the young vines. Bottling them separately doesn’t always create the best results. Overall the use of oak is very limited at Domaine Raoul Gautherin. The old vines Chablis cuvée is vinified in tank, but aged in old barrels. Up until now the Chablis grand cru Vaudésirs has not seen any wood, but with the new winery 600-litre barrels will be introduced. Not all at once though. For the first vintage two barrels have been bought – one from Damy and one from François Frères – which means new oak for about one third of the cuvée. – The soil in Vaudésirs is not particularly stony. The soil is very deep. It’s a narrow place, the Vaudésirs valley. Not much wind and in the summer it’s very hot there. We never have any problems with disease. No botrytis, oidium or mildew. 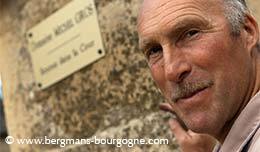 The other two grand crus of the domaine – Les Clos and Grenouilles – comes from smaller plots. While annual production of Vaudésirs is 5400 bottles, it is only 1200 and 1600 for Les Clos and Grenouilles respectively. – In Les Clos the soil is not as deep as in Vaudésirs. The exposure is south to southwest, which is perfect for a grand cru. We usually harvest Les Clos one or two days after Vaudésirs. Grenouilles has the same type of soil as Les Clos and the two, together with the premier cru Mont de Milieu, are harvested on the same day. They are the only ones we harvest by hand. In theory Domaine Raoul Gautherin could make ten different premier crus, but they have decided to group them under three labels – Vaillons, Montmains and Mont de Milieu. These are three of the main climats that may be used for the premier crus. For instance, Montmains, Forêts, Les Forêts, Butteaux, Les Bouts des Butteaux, Vaux Miolot, Le Milieu des Butteaux, Les Ecueillis and Vaugerlains may all be labeled as Montmains. The individual sub-climats may be used on the label, provided all grapes originate from that very part of the appellation. At Domaine Raoul Gautherin the Montmains originates from Les Forêts and Les Butteaux, while the Vaillons comes from Melinots, Epinottes, Secher and Les Lys. 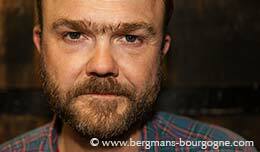 – Vaillons is a very fruity premier cru, says Adrien Gautherin. It is easy-drinking. Montmains, with its minerality, requires food. Mont de Milieu is a high class premier cru. With all the stones there you get an explosive minerality with floral notes. With age you get notes of honey. Mont de Milieu is perfect for laying down. Montmains generally starts to open up after six months, but give Mont de Milieu about five years.